Click here to listen to the audio version. 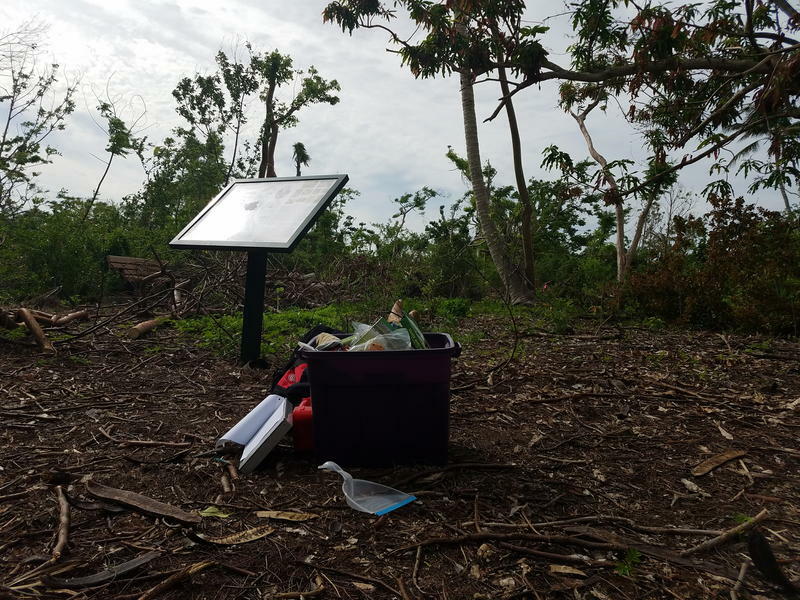 Florida’s Public Archaeological Network archaeologist Rachael Kangas surveyed the damage Irma caused to Otter Mound Preserve — 2 acres of land that was formed by the now-extinct Calusa tribe between 700 and 1200 AD. Twenty royal poinciana and gumbo limbo trees were downed with their exposed roots ripped out of the ground — leaving craters. Kangas knelt down in the dirt. This site sits in the middle of an area known as Indian Hills. It’s a hilly upscale, bayside neighborhood. Kangas said this mound was used as a refuse pile by the Calusa. “Even this trash is a treasure to archaeologists,” she said. Kangas said archaeologists have known artifacts were buried here for years. But, it would’ve been unethical and illegal to dig up the ancient items and take them because it's land owned by Collier County and, therefore, belongs to the public. She said the relics being naturally unearthed is an opportunity to keep them safe in a museum. 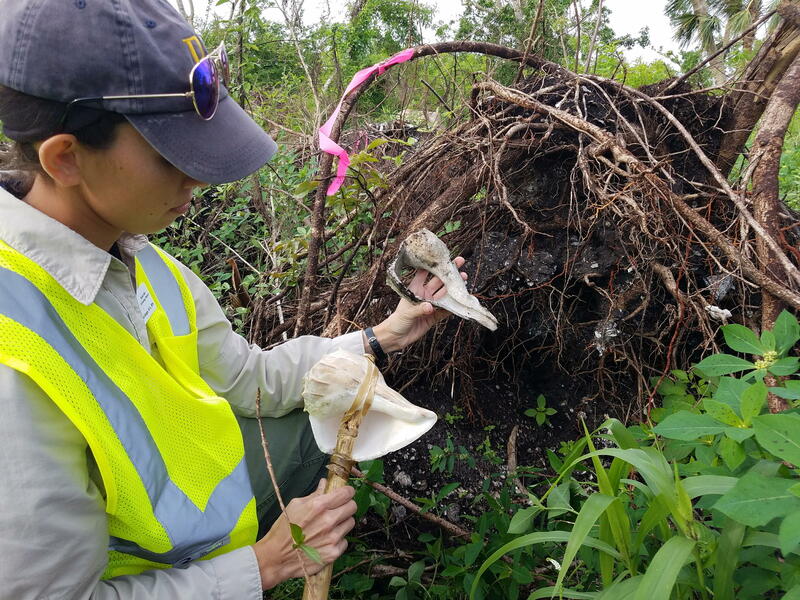 Archaeologists collected about 200 pieces of tools, glass, pottery and shells from the site to be curated by the Marco Island Historical Museum. From there, they can be loaned to other museums and institutions for display and research. The museum’s curator, Austin Bell, said having the items on display in a museum will bring the story of the Calusa to more people and could teach modern people about how to appropriately live on the land. Archaeologist Rachel Kangas shows a lightening whelk recovered from a tree root in her left hand. In her right hand, she holds a replica of what the shell would be used for. The Calusa did thrive peacefully until the 16th century when Europeans found them and introduced war and disease. In the 1700s, some Calusa headed to Cuba. Kangas, the archaeologist, said she thinks some stuck around. “I absolutely believe some of them stayed and continued to live here in South Florida and kind of got pushed deeper and deeper into the Everglades and kind of joined up with these other Native Americans from different tribes,” she said. Betty Osceola from the Miccosukee tribe — a tribe from the Everglades — said she doesn’t speak for all Native Americans but said she’s mad about archaeologists taking things from the preserve. “Even though a tree unearthed them, I think that the people who existed before should not have their artifacts taken and put into a museum and carted off anywhere,” Osceola said. Osceola said the respectful thing to do would be to cover the artifacts back up and call local tribes. She said she believes removing relics will upset ancestral spirits and bring them out of their rest. But, archaeologist Kangas said that would be a missed opportunity to understand the past. 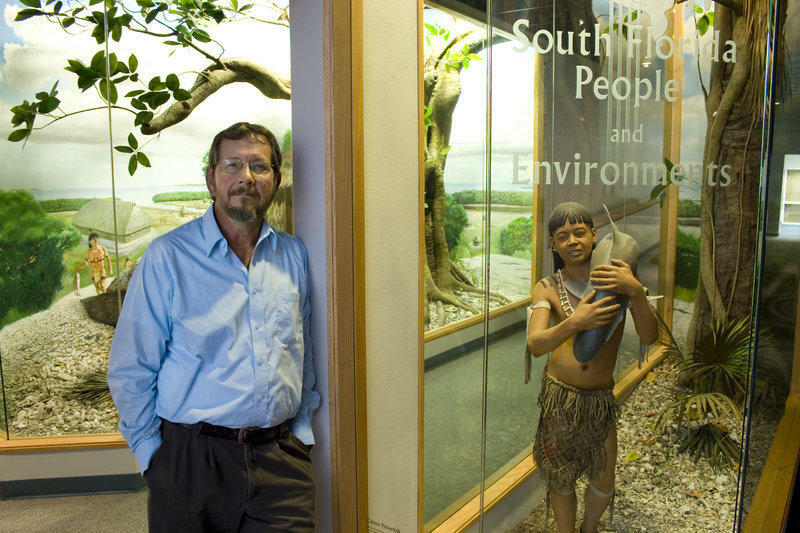 Dr. William H. Marquardt was awarded a lifetime achievement award by the Southeastern Archeological Conference for his "significant and sustained contributions to southeastern archeology" during his career. He was given the award during the conference's October 2016 meeting.